Liberals are so divided right now with all of these potential candidates announcing their bids for the Democratic candidacy for President of the United States in 2020. It’s like they have optional paralysis and everybody is invested in someone different. The list is long and includes Sen. Kamala Harris, former Vice President Joe Biden, Sen. Bernie Sanders, rising star Mayor Pete Buttigieg, Sen. Kirsten Gillibrand, and Beto O’Rourke. And you know others will join them in the coming year. 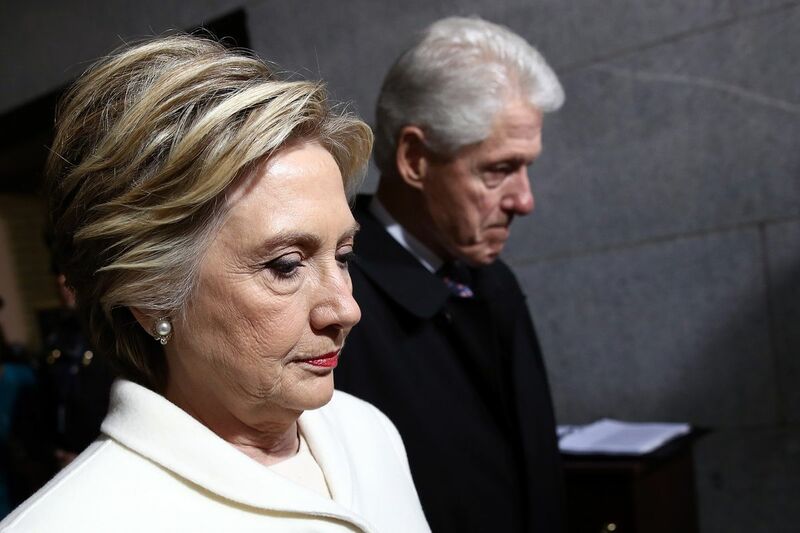 But it looks like Hillary Clinton has no desire to run because she and former President Bill Clinton just announced a speaking tour across the country loaded with Hollywood stars. It looked for a while that former Democratic nominee Hillary Clinton would throw her hat in the ring once again in 2020, but now with all the other more popular candidates announcing their bids, she’s likely to sit this one out. Many begged her not to run because she had her chance to defeat President Trump in 2016 but she blew it. In fact, it’s likely that her political career is likely over. That doesn’t mean that Hillary and former President Bill Clinton can’t profit off their political experience as many others do. Hillary and Bill Clinton just announced a six-event speaking tour in New York City, Detroit, Philadelphia, Wallingford, Washington D.C. and Boston. Comedian Klepper — former host of Comedy Central’s “The Opposition” — will join the Clintons in Washington D.C., which is scheduled for the same night as the White House Correspondents’ Association Dinner. Maybe they’re making some sort of statement because the timing of that can’t be coincidental. In Detroit the Fox Theatre, “There’s Something About Mary” star Ben Stiller will join the Democratic couple. On April 30, Tony Goldwyn — who played fictional President Fitzgerald Grant on “Scandal” and has always been extremely vocal for his support of them both — will join them in Boston. Other guests include former NFL cornerback Nnamdi Asomugha – once considered the best at his position – will join them in Philadelphia where he finished his career with the Eagles. Obviously it’s anti-President Trump and they should just come out and say it that way instead of beating around the bush. And it looks like they’ll have trouble filling seats for the upcoming events. The Daily Mail reported in November for the early part of the same speaking tour that ticket prices plummeted and they only sold 3,300 in a Toronto stadium that holds 19,800, which also resulted in staggeringly low ticket prices. At one point they couldn’t sell tickets for $6.55. That’s embarrassing even if it was in the liberal Canadian city. Maybe people are sick of them particularly or maybe people are just sick of hearing anti-Trump rhetoric.